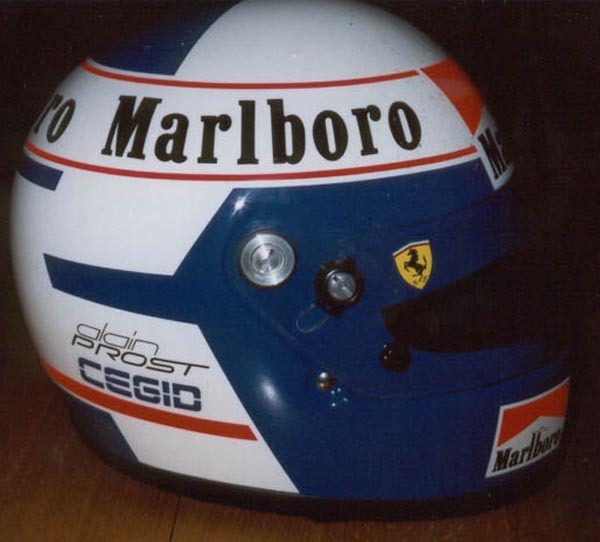 In November 1982, three years before it became a round of the F1 World Championship, Prost, along with fellow F1 drivers Jacques Laffite and Nelson Piquet, made the trip to Melbourne, Australia to drive in the non-championship 1982 Australian Grand Prix at the short (1.609 km (1.000 mi)) Calder Park Raceway. Driving a Formula Pacific spec Ralt RT4 powered by a 1.6 litre Ford engine, Prost sat on pole for the race with a time of 39.18. He then led every lap to win what would be the first of 3 Australian Grand Prix wins. He finished 15.32 seconds clear of Laffite, with 1981 Australian Grand Prix winner, young Brazilian driver Roberto Moreno finishing third. On 1 May 1994, Ayrton Senna was killed during the San Marino Grand Prix. Prost was a pallbearer at the Brazilian's funeral. 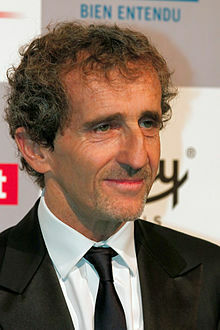 Speaking four years after the Brazilian's death, Prost told Nigel Roebuck that he had "always refused to speak about him". When Senna died, Prost stated that "a part of himself had died also", because their careers had been so bound together. Senna had also felt the same when Prost had retired at the end of 1993, when he admitted to a close friend that he had realised how much of his motivation had come from fighting with Prost. 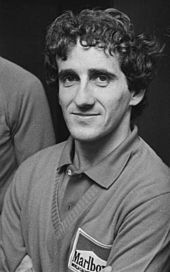 Only a couple of days before his death, when filming an in-car lap of Imola for French television channel TF1, he greeted Prost, by then a pundit on the channel: "A special hello to my...to our dear friend, Alain. We all miss you Alain." Prost said that he was amazed and very touched by the comment. ^ a b c McBride, Stewart (8 November 1987). "Racing's Record Breaker". The New York Times. Retrieved 11 February 2011. ^ "1985 San Marino Grand Prix". GPRacing.net192.com. Archived from the original on 22 July 2006. Retrieved 7 October 2006. ^ a b Henry, Alan (4 September 2001). "Schumacher rubs salt into Prost wounds". The Guardian. Retrieved 17 April 2019. ^ Baldwin, Alan (28 June 2015). Ferris, Ken (ed.). "Renault to invest more in electric series". reuters.com. Retrieved 28 June 2015.